When planning a trip at sea, studying the weather forecast is one of the most important issues. 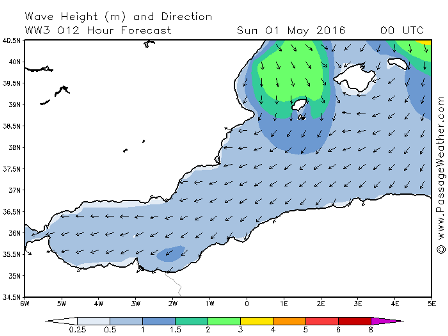 There is an extensive choice of websites where the wind and sea forecasted can be expected to be pretty accurately . A hefty swell on the head can cause a significant delay because the speed having to be reduced. Length of the ship and the wavelength have a decisive combination. The wave height is predicted and their wavelength is an experience, which is built up in the course of many trips. 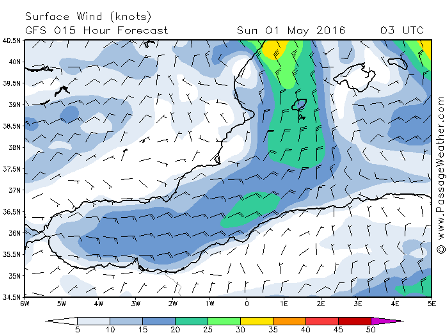 The wind is of course an important factor that determines the duration of a crossing, special for sailing yachts, but for motor yachts less than the waves.